Create your free artist's biography and display photos of your best work to share with the world. It's like having your own website without the overhead, hassle, or expense of maintaining it. It takes less about 5 minutes to create a profile if you have some photos of you work saved on your computer. 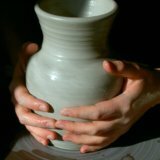 Share your passion for pottery with students and readers by creating a FREE artist's listing. Follow the form below and we'll create a customized web page dedicated to you and your pottery. It only takes about 5 minutes. 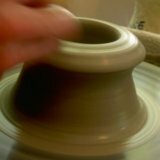 Enter your name and/or your pottery business name. Your listing will appear on a Web page exactly the way you enter it here. 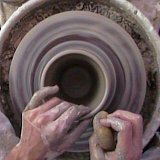 I recommend including information like, how and where you learned pottery, where you do pottery now, how long you have done pottery, what special techniques you use and what inspires you to do pottery. Feel free to include a pottery website address if you have one! You can wrap a word in square brackets to make it appear bold. For example [my story] would show as my artist's bio on the Web page containing your bio. Do you have some pictures of your work? Great! Click the button and find the first one on your computer. Select it and click on the button to choose it. Hi my name is Alycia Baca and I am a Studio Artist here in Albuquerque New Mexico. I love to create sculptures. This is a great place to get ideas to inspire your future projects. Check out Mark Anderton's work where he works exotic agates into the walls of his pottery. Truly amazing. If you can figure out how he does it, let me know!!! This is also a great place to create your own biography page or mini portfolio to share with the world. You can include up to 4 photos of your favorite pieces. You might also consider adding your resume if you are referring potential clients to the website. Once you have created your page and I have added it to the website you will have your own web address that you can share with anyone via email, facebook, or whatever your favorite media is (I like to write mine on the back of a napkin and give it to people... I'm kinda low tech). 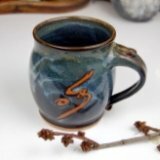 Then you'll be listed among the best pottery artists like Beth Peterson, who writes for About.com regarding EVERYTHING pottery related. Thanks for reading, if you have any problems posting, contact me. Be sure to include your email so I can get you the answer you need. Happy Potting and Happy Posting.